Well, that's the end of the Quarant'Ore at Blackfen for another year. 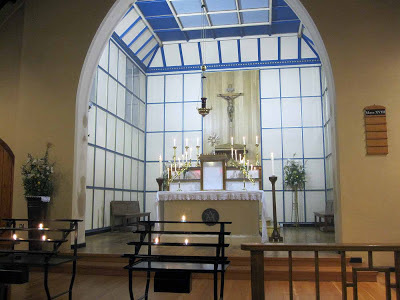 It's very strange, but, as the Blessed Sacrament is reposed in the Tabernacle after being exposed for the forty hours, there is a terrible sense of loss. I'm not the only person to have noticed it - and yet, Our Lord hasn't gone anywhere. 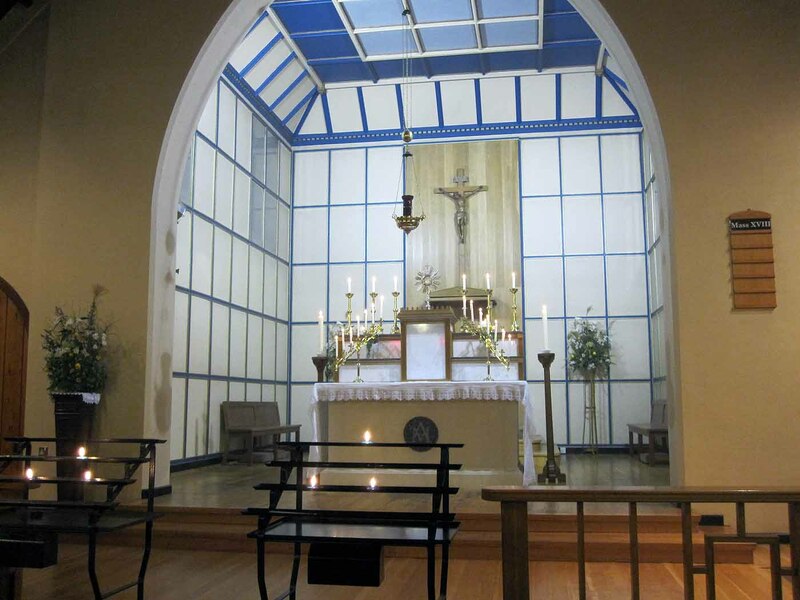 He still awaits us in the Tabernacle of every church, and at every Mass. I said it in my last post, and I'll say it again - it really is a tremendous privilege to be able to assist at the Forty Hours, even if only for a short time. You can read Fr. Tim's account of it, and see a few more photos taken during the Forty Hours over on Flickr. It is a tremendous privilege for the Parish to have the Quarant'Ore. People can come along to the church whenever they can, for as long a time as they want... or, if only for a few minutes, that's ok as well. 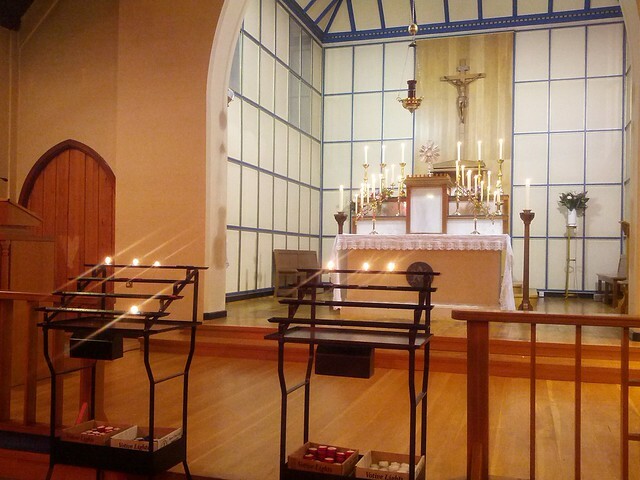 If you are fortunate enough to be able to attend at the end, there is a palpable sense of loss as the Blessed Sacrament is reposed in the Tabernacle. It is incredibly moving. It reminds me of my own return to the Church, twenty years ago - and it's as vivid as if it was yesterday - I became aware that Our Lord is waiting for each one of us, waiting for us to turn and face him, to spend some time with him, to invite him into our lives. He will never force himself upon us, he just waits for us to recognise him and accepts whatever acknowledgement we give him. It rather brings a lump to my throat just thinking of how immensely patient he is with us. Rorate Caeli reports that Bishop Williamson has been expelled from the SSPX. Given how close the SSPX seemed to get to being brought back into full communion with Rome (is that the right term? ), it will be interesting to see if this makes any difference. No, I don't really understand all the ins and outs of the situation. Archbishop Lefevre defied Rome and ordained priests and bishops - and Bishop Williamson was one of those bishops. If he now goes off and ordains priests and bishops, will there be another breakaway group? And what happens next? 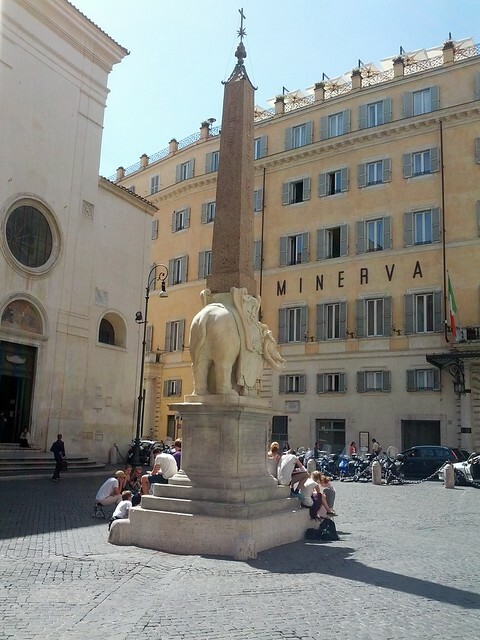 When I saw Bernini's Elephant Obelisk in Rome last May, it reminded me of my dear friend Quentin, who blogged as Dominic Mary. He loved hippopotamuses (should that be hippopotami?) 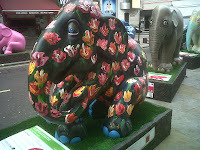 but elephants came a close second, and he posted a series of elephant photos when they appeared as part of a temporary outdoor exhibition around London. 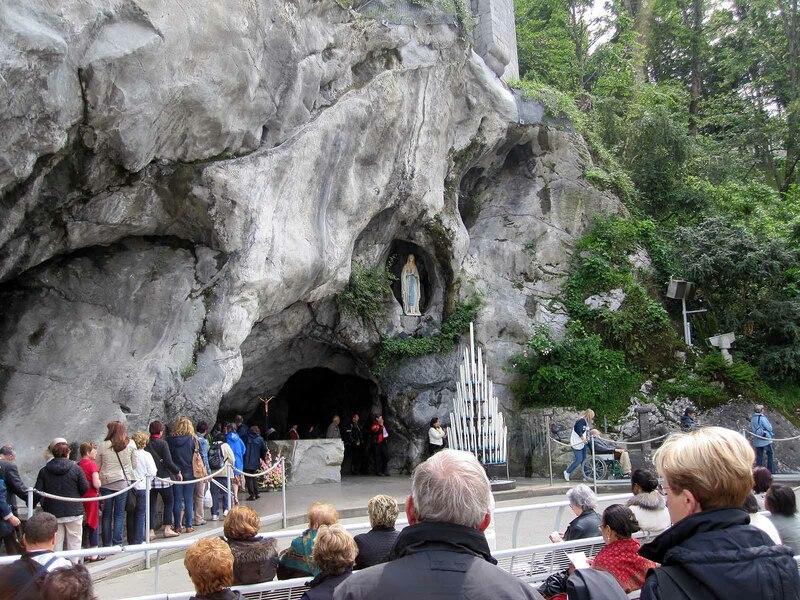 The Grotto at Lourdes, the site where Our Lady appeared to St. Bernadette, is currently under about 3 feet of water. 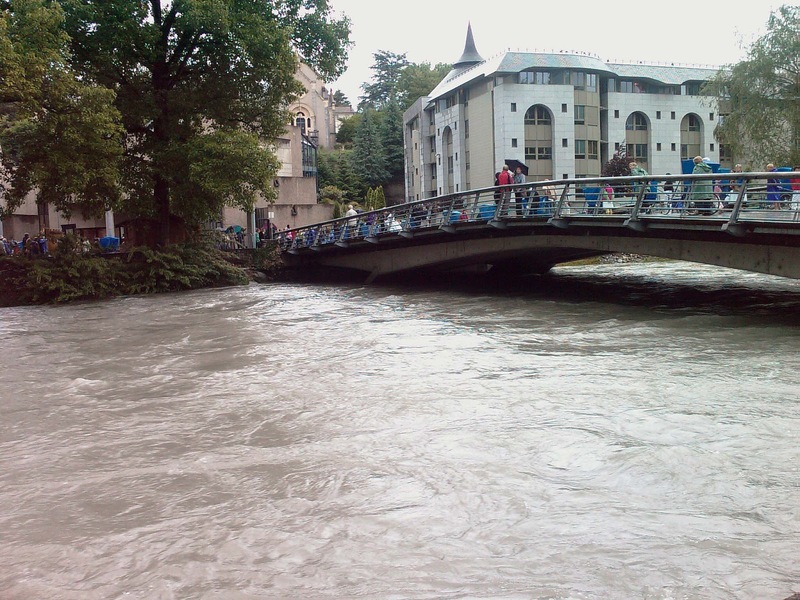 After days of torrential rain, the River Gave burst its banks, and pilgrims were evacuated from nearby hotels along with about 40 people who were forced to leave their homes. The basilica itself is still accessible, according to the report on CNA. I assume they mean the Immaculate Conception basilica and Crypt, at the top of the ramps, rather than the Rosary Basilica itself, which is on the lower level, though, as the entrance to the Rosary basilica is up some steps, it's just possible that this is above the level of the flooding. You can see how much more space there is under the bridge. 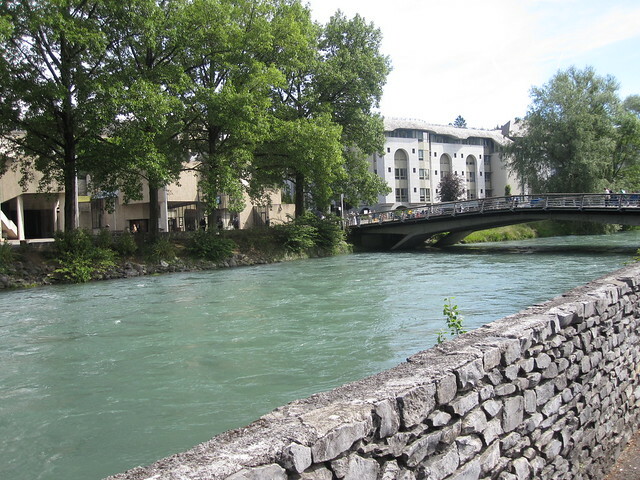 You can also see how high the wall is on the Grotto side of the river. The current downpour is said to be the worst in 25 years. Twitch of the mantilla to Fr. Ray Blake for those last two photos. CNA had the following video clips from Friday, showing the rising water levels. It's heartbreaking to watch. Fortunately, there don't seem to have been any deaths, and at least this happened at the end of the pilgrimage season, so those affected will have some time to get things sorted out before next year. The webcams in Lourdes are down at the moment, due to the flooding. Pray for all the pilgrims, and all those who live and work in Lourdes. It seems as though my two Monsignori are not the only kitties with relationship problems. Larry, the Chief Mouser to the Cabinet Office at Number 10 Downing Street, had a spat with his next-door neighbour, Freya, the First Moggy of the Treasury. Police were called to break it up. No-one, other than the two protagonists, knows whether "Hiss. Spit. Snarl. Miaow" translates as "You don't run this government, you plebs" and Google Translate doesn't have "Cat" as an option (yet) which is possibly why there have been no calls for the resignation of either Larry or Freya.